Students, January 1st is the first day to file your 2014-15 FAFSA. Remember to file early! Spring is an exciting time for you high school seniors as you prepare for graduation, select a college to attend, but do not forget about a very important letter your colleges will send you, the financial aid award letter. Financial aid letters are composed in many formats; this makes it difficult for students and families to compare one to another because they all look different. Although they differ, the types of aid in the letters are very similar, they will all include at least one of the following: grants, loans, work study, or scholarships. 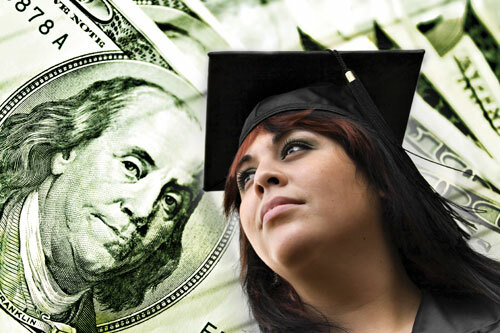 Each college has the responsibility to offer the maximum amount of financial aid you are eligible to receive at their institution, it is your and your parents’ responsibility to evaluate the financial aid award and make an informed decision on which types of aid you choose to accept. Remember, just because they offer it does not mean you have to accept it. Because there are different types of aid; some of which is free to you and some of which you have to repay, it is important to keep in mind when you are comparing letters that you also compare the cost of the college as well as the cost to you. If one school is giving you mostly loans, that is a cost that you will eventually have to repay. Here are a few things to keep in mind as you are evaluating your financial aid letters. If you have questions or concerns, contact the office of financial aid to get the answers you need and on www.fafsa.gov. Comment, ask questions, and create an account on www.Edudaris.com. Join the FAFSA 2014-15 Help and Support group on Edudaris.com for ongoing discussion and questions with Gerardo Ochoa, Associate Financial Aid Director, Linfield College, Portland Campus, OR.